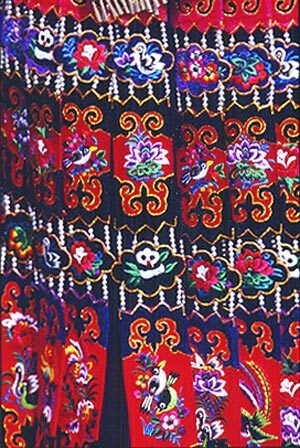 Typically a Miao girl starts learning to do needlework at an early age, often preparing to make her set of arty wedding dress years ahead of the marriage. Beautiful costumes are also worn in all different celebrations and festivals. 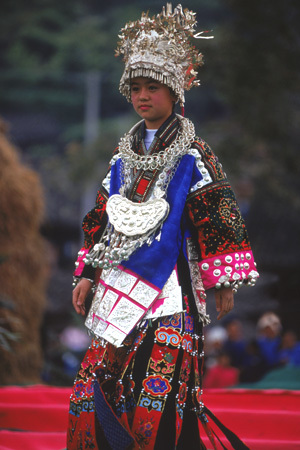 Among all Miao people's costumes, the ones from the areas of southeast GuiZhou province are the most flamboyant.